This exceptional Korean melodrama, set primarily in a public school elementary classroom, grade 6, The Queen's Classroom (2013) knocked my socks off. I had no idea what to expect, for I hadn't even heard of the original 2005 Japanese drama version at all. I just decided to watch the Korean version on Viki.com because I knew the leading actresses and actors from other projects and I had admired them in the past. I became completely engulfed in this story from episode one to episode sixteen. A natural disaster could have been going on outside my home and I would have ignored it in favor of watching this superb drama instead! A big part of that lure to cause me to marathon this incredible show was the completely fascinating and boldly intelligent performance by the lead adult actress, Go Hyun Jung (Sandglass), who played a newly hired teacher to a group of unruly young students and figuratively whipped them into shape to prepare them for their futures. Is it blasphemy to say that Go Hyun Jung's performance here surpasses her epic performance in the historical hit Sandglass from 1995? If you're her fan and miss this show, thinking it won't interest you because a lot of the main cast is children, think again.  It will be your profound loss if you miss it. She wouldn't have accepted this drama if she thought it was poorly written, or just routine. It's one of the strongest female roles I've ever seen in a K-drama, and by the middle to end of the story one of the most vulnerable as well, as her great love for the children - manifested in discipline in the beginning - becomes evident for all to see through her dedication to them and her sacrifices for them. The actress was brave to wear the stern looking dark clothes that covered her body, virtually no makeup or jewelry, heavy shoes, and a severe, drab hairstyle. Her character is very secretive and cold on the surface, but she has good reasons for being the way she is and making the choices she does, which we discover toward the end of the show. As was the case in the drama The Suspicious Housekeeper, also a 2013 show, underneath the supposedly unemotional exterior of the main female character lies a personal tragedy that helped steer her life in a different direction, but it did not mean that she was heartless, just hurt. Is it more than a coincidence that both of these shows were first Japanese television dramas before the Koreans remade them? Here is a picture of the actress smiling, but in truth the character rarely smiles, and most of the time, if she's secretly bemused, her eyes will dare to twinkle a bit, but the rest of her visage remains stern. The child actors and actresses in this show were simply stupendous, every single last one of them. Complete naturals. They didn't even seem to be acting at all. Most of their characters were precocious children, often from troubled families, and in the beginning quite spoiled. It was very emotional and inspirational to see them all mature during the course of the show, and to realize the world didn't revolve around only them, that they had a responsibility toward others as well. 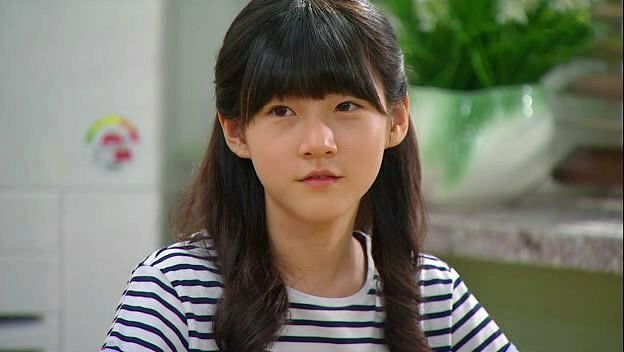 The main child actors were Cheon Bo Keun (who played the darling little boy in Stars Falling From The Sky, who became attached to actor Kim Ji Hoon's character), Kim Hyang Gi (from A Werewolf Boy, who to me bore a striking resemblance to the child actress who was in the 2006 horror film The Host), Kim Sae Ron (from High School - Love On, and the outstanding films The Man From Nowhere and A Brand New Life), Seo Shin Ae (most recalled as Bom in Thank You), and Lee Young Yoo (from the 2014 film Manhole). 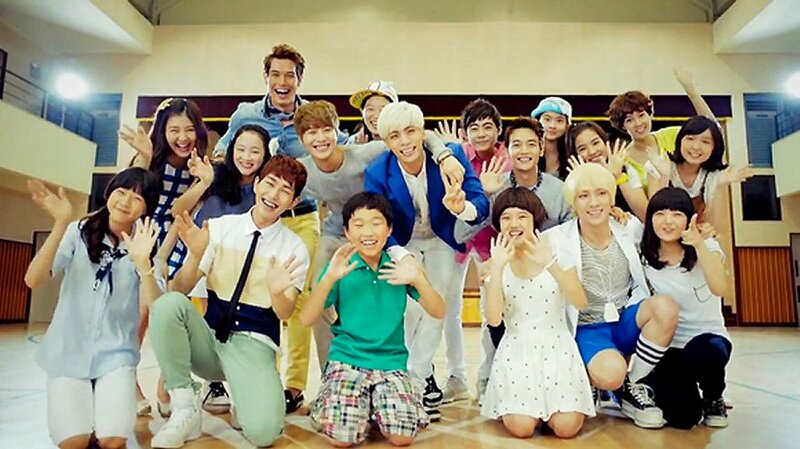 These children were the main ones featured but there were many other children in the cast who had their turns to shine too. At the center of the story is newly hired elementary school teacher Ma Yeo Jin (Go Hyun Jung) whom the 6th grade students she teaches refer to as “The Witch.” She’s strict about everything, from her own daily hygiene routines, to the way she dresses, with no makeup and a strict hairstyle, to her firm countenance and cold disciplinary ways. Her solid logic applied to any of their objections makes the students unable to defend themselves. She’s intimidating to them: always covered head to toe in a black skirt suit and wearing plain, boring black heels. She never smiles, is only rigidly polite to her colleagues, who don't know what to make of her (except for the lovely older female Principal Yong Hyun Ja, played by Youn Yuh-jung, who quite likes her and her unorthodox approach to teaching). Teacher Ma only becomes superficially warm when speaking with her students’ parents. The children are all surprised how quickly she wins their parents or guardians onto her side as an authority figure. They thought the parents would raise a ruckus at her harsh style of teaching --- but they simply don't see it: back in the classroom she's always still the unsmiling "Witch". Her teaching philosophy in the beginning is one of discrimination — instead of considering the students equal, she shows favoritism to the smart students and scorn to the underachieving ones, going so far as to make them perform the class’ physically laborious chores so that the smarter students can have more time to study. The benefits for the smarter students include no classroom chores, the ability to pick their own seats, and being first in line for lunch. This system of discrimination is Teacher Ma’s way of preparing her students for the real world, one which rewards winners and unfairly discriminates against losers. "That’s the society we all live in", she tells them, and she lays it out for them as such: “No matter how much you complain, the world is not going to change.” Conform or die, she teaches. Most of these students had gone to school with each other for years, know each other well, and are in their last year of elementary school. They figured because of their seniority they'd be treated as something special. "Secondary school will be a lot harder", she warns them. "You must prepare for that now." Mystery shrouds Teacher Ma and her background from the beginning, and as a character she remains utterly fascinating through the finale, helped immensely by Go Hyun Jung’s masterful performance. Ma’s a mystery, a cipher, and a woman who doesn’t even hint at emotions brewing beneath the surface -- most of the time. However, the audience follows the point of view of the children, not the teacher, so we only know as much about Teacher Ma as they do. The students in Teacher Ma's 6th grade class reflect many different types of children we went to school with ourselves. 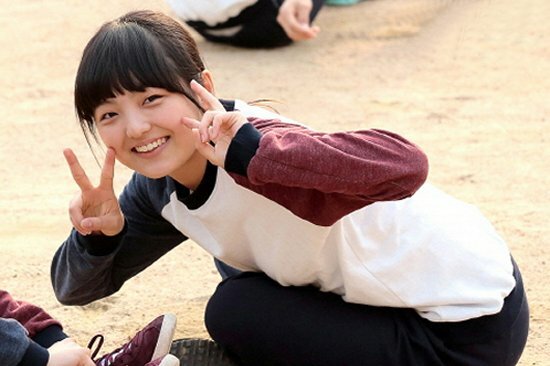 We start off by meeting the cheerful Shim Hana (Kim Hyang Gi), an average student who values friendship and loyalty above all else, including her school performance. She’s well-liked but not popular, friendly, and comes from a home with a doting mother, an older sister, and an unconcerned (and possibly cheating on the mother) father. She and Teacher Ma are at direct odds for most of the series, since Teacher Ma’s philosophies place no value in friendship or kindness. It's only about achievement with Teacher Ma. While Hana always means well, she feels she must defeat Teacher Ma in order to show her that she and the other students are not her puppets — so Hana's the one who instigates the class, or her individual group, into failed rebellion after failed rebellion. Ma holds the upper hand every single time. After awhile we expect her to fold and give up but she's a stubborn little thing and it doesn't happen for a long, long time. 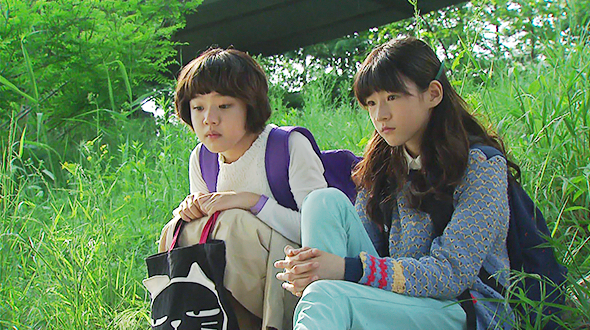 Hana makes an unlikely friend and ally in quiet and super intelligent Kim Seo Hyun (Kim Sae Ron) when she stands up for Hana after Teacher Ma refuses to let her go to the restroom. Even when faced with the threat of punishment if she were to side with Hana, Seo Hyun helps Hana outside, where it turns out she wasn’t lying about needing to go since she ends up going in the hallway! Therefore, Seo Hyun sees Hana at one of her most pitiful moments and helps her recover from it, which instantly lets us know that while Seo Hyun is the smartest student in the class, she still doesn’t quite fit in with the majority of students. However, unlike Hana, Seo Hyun simply doesn’t care about fitting in, since she’s clearly used to marching to the beat of her own drum and Teacher Ma knows she's on genius level academically so she rarely has cause to discipline her. Normally aloof and uninterested in others, Seo Hyun’s cold exterior starts to melt the more she’s around the friendly Hana and the rest of the Underdog Group. One of Hana’s most loyal friends turns out to be class clown Oh Dong Gu (Chun Bo Geum). Do you remember your class clown? I still text mine to this day and it's been over 40 years since we were in school together! Dong Gu is made fun of a lot in class but he's good-hearted like Hana and doesn't really care about good grades or success. (Therefore he ends up punished a lot by Teacher Ma and always sits last in class). Dong Gu was abandoned by his mother and placed in his grandfather's care, an aging bar owner who is more than a little effeminate. However, Dong Gu is one of the most interesting characters because when he starts being bullied he has the street sense and common sense to humbly ask Teacher Ma privately what he should do about it. She tells him if he doesn't have the strength to fight back to simply surrender to them! He does so and eventually the bullies lose their thrill of tormenting a kid who just lays still and takes it, and they go away. In the distance, on a bridge, stands Teacher Ma silently watching him being beat up and doing nothing about it. As a parent that was hard for me to watch and it was the angriest I got at Teacher Ma myself! However, she was right again, because they eventually do leave him alone and he can walk the campus again without fear. Last but not least in the main group of students whom we follow there’s Eun Bo Mi (Seo Shin Ae), a quiet, awkward, lonely little girl with poor grades and a poor home life - her single mother runs a convenience shop and has no time for her. Everyone ignores her completely in the classroom, figuring that that’s just going to be her lot in life, to be a pushover. When she gets in trouble with Teacher Ma and Hana comes to her defense she orders the two girls to clean the gym floors after school; the two girls become friends while making a game out of cleaning, and finally we start to see Bo Mi smile and laugh. However, Teacher Ma takes Bo Mi aside the next day and tells her that Hana doesn't really consider her her friend and if she wants to earn real rewards in class she can choose to spy on Hana for her. 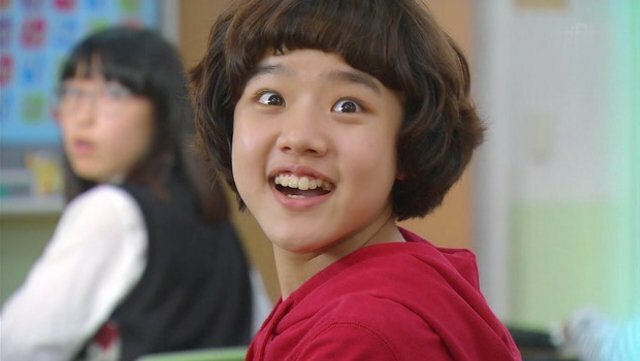 Bo Mi agrees, which only results in alienating her even further from her classmates. This outright angry ostracism, in place of simply being ignored like before, because everyone considered her a loser, actually makes Bo Mi a stronger person and a stronger competitor during school events. Although it seems cruel on the surface for Ma to turn the two girls against each other it actually makes Bo Mi so much more confident in herself that she eventually repairs her soured relationship with Hana. There's psychological wizardry in Ma's Methods! She knew the biggest problem with Bo Mi was her pathetically low self-esteem -- and she found it -- by being a spy! LOL. Ma’s strategies for instigating each child’s personal growth are sometimes horrendous to the viewer, though the show does a good job of showing and dealing with each and every transformation in a positive way. One student (Ryu Ui Hyun) tries to commit suicide and Ma is able to stop him by saying she will kill herself with him; another student with psychological problems (Lee Young Yoo) tries to burn down the classroom, and Ma stops her and forgives her. Another student's mother is so desperate for money she is considering being hired at a stripper bar but Ma gets wind of it and talks her out of it, saying her child needs her most of all and that she will lose her child forever if she trashes her life in an immoral way. By the end of the school year Ma has earned the children's love and respect, but it has come with a price. One of the mothers has succeeded in getting Ma fired, her money and influence had secretly caused the top board members to let her go. Her unorthodox teaching methods are finally held to the fire. Will Teacher Ma still show up for her students' graduation ceremony? Will they be able to say goodbye to her? Will they still be able to stay in touch with her in future, this teacher who had given them so much wisdom about how to survive in the real world? I really consider this show a borderline masterpiece. You will never be bored -- Ma keeps your mind humming along, as well as her students! Don't miss it, and enjoy a very unusual and very fine show! You could watch this with your own pre-teen children and they would learn a lot from it. There were a lot of awards handed out for this show, including to all the main children in the cast, and of course to the fascinating Teacher Ma, played by Go Hyun Jung to perfection.